Autumn has finally reached Connecticut the last few days. I went out to some of my favorite places in the area last week, but the color was disappointing and I didn't shoot much. I hope to get out again this week. In the meantime, I went back in the archives and found this photo from a couple of years ago. 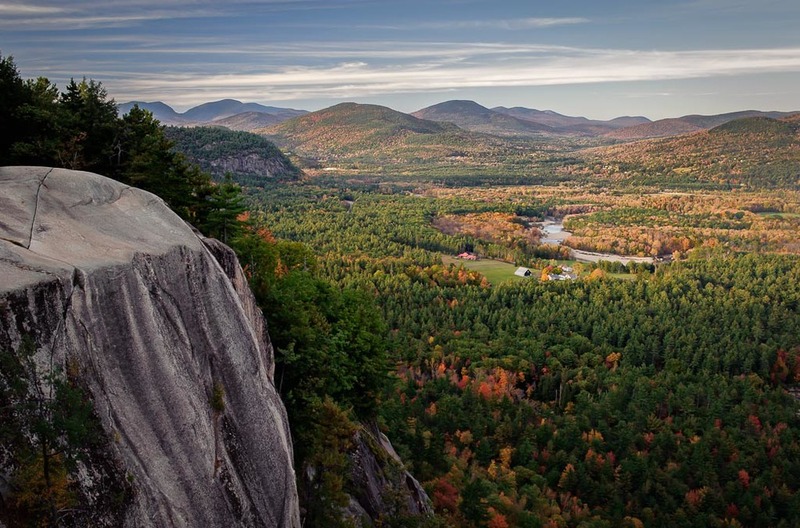 The location is Cathedral Ledge in North Conway, New Hampshire. From this spot, you can see the Presidential Range (part of the White Mountains), whose peaks are named after American Presidents. The setting sun was lighting up this beautiful valley that was dotted with farms. Scenes like this are the reasons that tourists flock to New England in the fall.